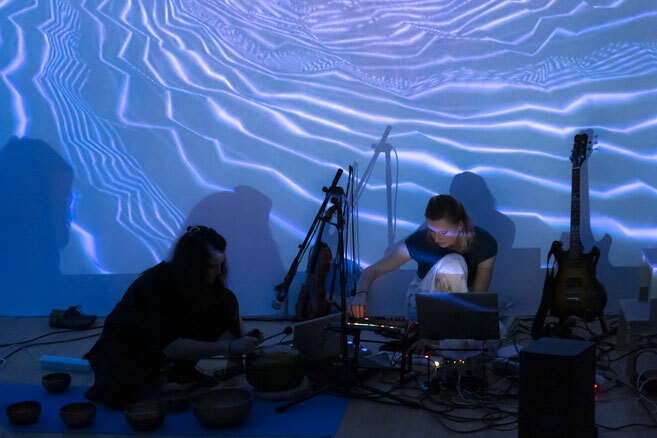 The Dreamery is a transmedial performance by musicians Eva Aukes and Cecylia Fenrych and movement performers Jordi Ribot Thunnissen and Margherita Bergamo. With transmedial we mean not only that we use different media to set up and present our performance, but that the event the audience will share with us works in transmedial ways. Mingling semi-organized inputs coming from different directions, the event will happen in the crossroads of what there is to be heard, seen, and done. Our live electronic music is inspired by our instruments and acoustic sounds. 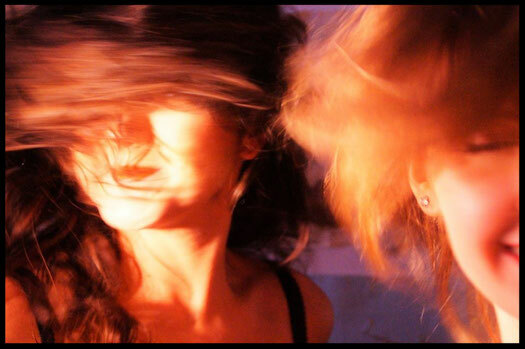 We compose and improvise songs and instrumental music which sets a mysterious atmosphere to dream away with.